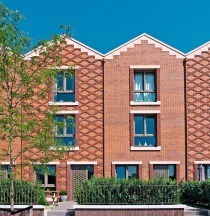 Clinker bricks as unique as the architect‘s own ideas: no problem for the “Customized Production” unit at Nottulner Klinkerwerk. 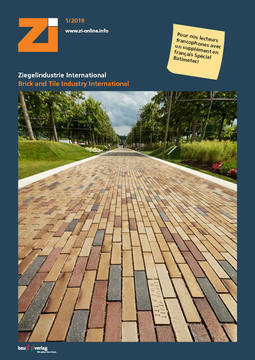 Via customizable production, this clinker expert caters closely to its customers‘ wants and needs. This time around at BAU, Hagemeister gave special attention to the subject of product individualization as viewed from various angles: service, processing, ecology and research. 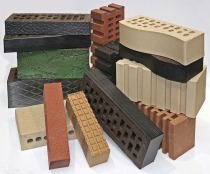 Captivating mixed arrays and clinker models in new colours, shapes and textures transport the character of traditional clinker culture into contemporary architecture. At the Hagemeister clinker works in Nottuln, individual mixed assortments can be produced to reflect the customer‘s own style. 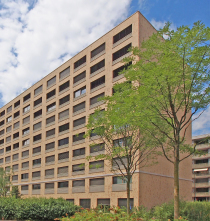 Distinct, high-contrast, mixed arrays give buildings a unique appearance. 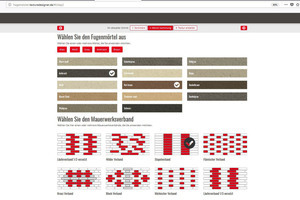 Mix your own textures: Architects and other interested parties can do just that with the aid of the online tool called TextureDesigner, developed especially for Hagemeister. 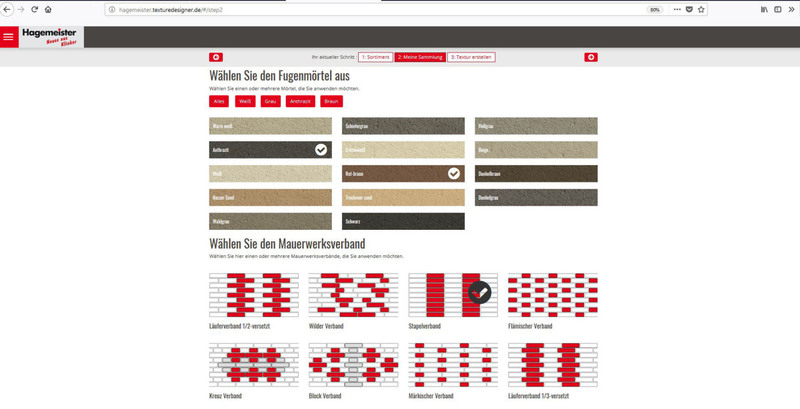 Choosing from more than 70 different collections, 13 different masonry bond patterns and 14 joint colours, the user can compile his own personal combinations and define certain, individual proportions. 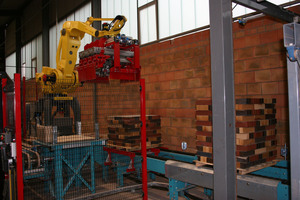 As an additional feature, the user also has the option of defining the width of the horizontal and vertical joints. Another distinctive feature of the visualization tool is that it can display the specially mixed texture with a shadow, resulting in a 3D effect that lends the surface a unique plasticity. Continuing from there, it is only one short step to the mixing line and on to a genuinely processible compilation. As a special contribution toward nature conservation and environmental protection, Hagemeister has introduced a purpose-designed clinker to serve as a substitute habitat for various species of birds and bats. This innovative eco-clinker enables the preservation of preexisting nesting options and/or the creation of new ones in connection with renovation projects. 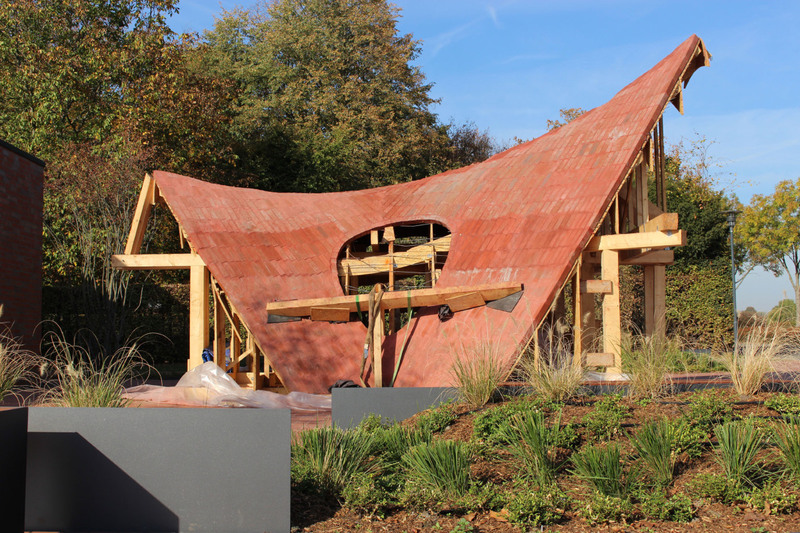 The clinker pavilion created for the entrance to the clinker plant in Nottuln in cooperation with Professor Peter Böhm and students at the Trier University of Applied Sciences is based on an all-new type of construction. For that purpose, they designed a thin, load-bearing shell of brick and textile concrete with a thickness of just about 7 cm. Viewed from the outside, it appears to be a normal brick shell, while the carbon textile and concrete mortar are concealed inside. 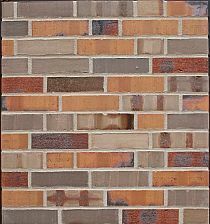 This appearance of an “ordinary“ brick veneer was achieved using roughly 3 cm-thick split clinker bricks with ribbing on the inside to provide ample surface area for a strong mortar connection to the structure. The split clinkers were laid on cruciform joints in a complex herringbone pattern for purposes of static analysis.